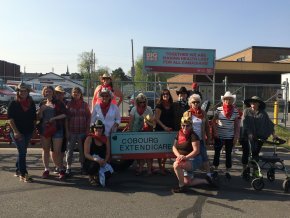 Extendicare Cobourg participated in the Big Bike for Heart and Stroke. We had 13 riders and raised $1,350.00. Everyone had a great time! It was a fun way to engage staff and raise funds for a good cause. Celebrating our staff for their long term service contributions. 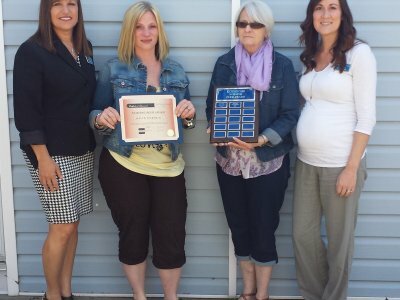 Extendicare Cobourg and The Landmark had their Annual Rewards and Recognition Celebration in May. Staffs were presented with their long term service awards to show recognition for their dedication and hard work. Each year, the home distinguishes one staff who goes beyond the line of duty by giving out the "Nursing Peer Award". This years recipient was Jaclyn Spereman. Jaclyn was an RPN who worked as our RAI Coordinator. She was passionate and dedicated to her work. 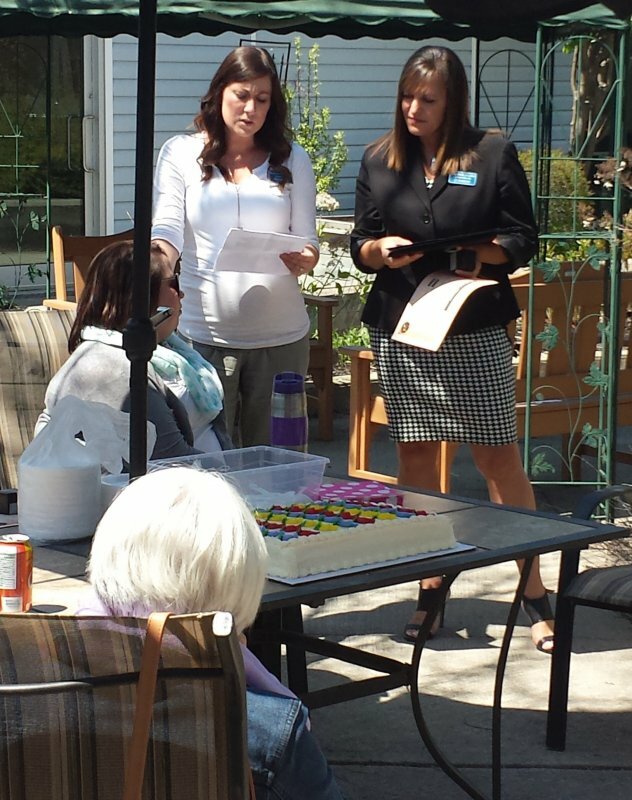 She was compassionate to the residents and beloved by all. Unfortunately, she passed away earlier this year due to health issues. She will be truly missed. 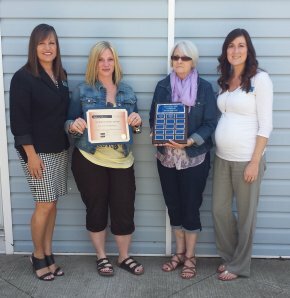 Her mother and sister attended the celebration and accepted the award on her behalf. Thank you Jaclyn! Thank you to all staff in Extendicare Cobourg for helping people live better. 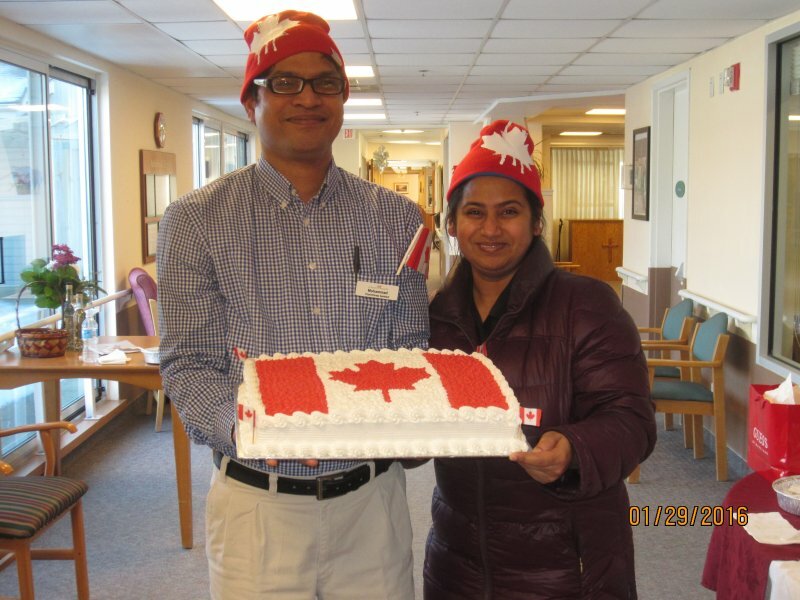 Extendicare Cobourg celebrated on January 25th by honoring the home's Physio Assistant and his family for becoming Canadian Citizens. I would like to send a big thank you to all of you, for arranging this party for me in becoming a new Canadian citizen last week. I was really surprised with your appreciation, as well as the food and the decoration. You guys made my day amazing and full of memories. It is really fun to be here at Extendicare and to be part of this beautiful country we live in. I still feel the sparkle in our friendship. The lunch was delicious and the dessert was amazing. It was hard for me to believe that the party was arranged only for me and my family. Mrs. A was so impressed. I will keep this day in my memory for my whole life. I am so grateful to you all.